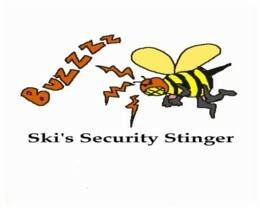 How2-4Newbies.com - Introducing co-editor - Chris Klasinski - Ski's Security Stinger Columnist. Providing insights and recommendations and product reviews on computer security. How2-4Newbies.com - Your interactive resource for learning how to begin your own online business, providing computer security information and recommendations as well as articles and reports designed to improve your understanding of using computers. My next set of experiences started when I enrolled in college. I took a group of programming languages. They were COBOL and Advanced COBOL, Assembler and Advanced Assembler, Fortran, RPG and Basic. In college is place that I really learned the importance in keeping things simple, especially when writing a program. That way things are much easier to fix. I recall the year I got a Gateway 733. I crashed it at least 4 times before the end of that first year. From this I learned to leave certain sections of my Operating System and Registry alone till I knew them better. the ever changing technology right up to and including CD/DVD burners etc..
Of late I have built my own computer, which is much faster than my old one, with far more capabilities than was available when I first started with my own computer. My main interests lie now with computer security. That the use of various anti-virus, firewall, anti-Trojan, anti-adware software,is to find out which are easier to use and why. As they all are being constantly improved upon, the companies who create these software are constantly trying to keep ahead of an ever increasing number of virus, Trojans, worms and other mischief that hackers are creating all the time. Your subscription to How2-4Newbies, will keep you abreast of the latest changes and values to you as a computer user of virus protection and firewalls. These are the two products in particular that will keep many a good company in business while we search out the best way to protect our enjoyment of computer use. There is so much to learn, so much to test in order that you continue to enjoy your time on the net. 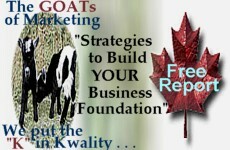 Copyright © 2005 How2-4Newbies.com All Rights Reserved.